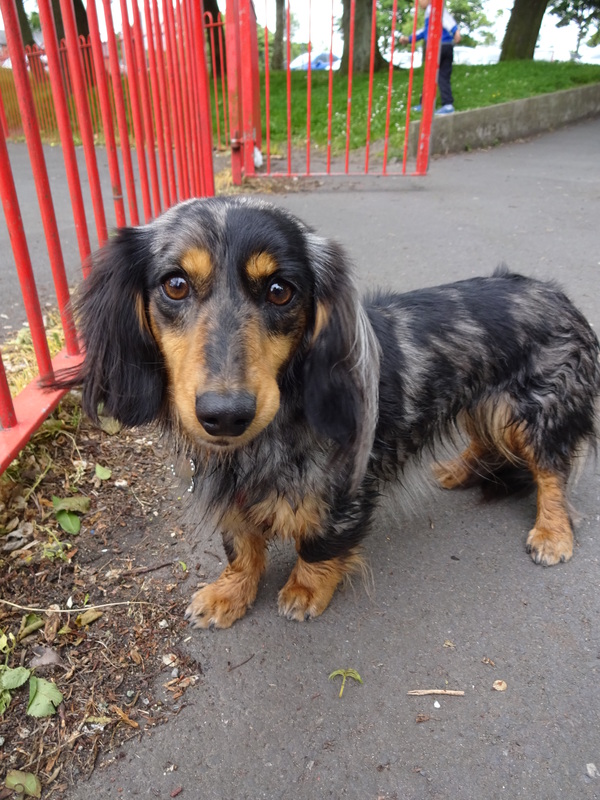 Myself, Ethan and my husband took a stroll to the park this afternoon and just as we arrived at the playground I spotted a really cute Long Haired Dachshund tied to the railings. I looked around the park trying to work out who the dogs human might be, I guessed it was a lady who was pushing her grandkids on a swing near by so I went over to say hello; I guessed right! 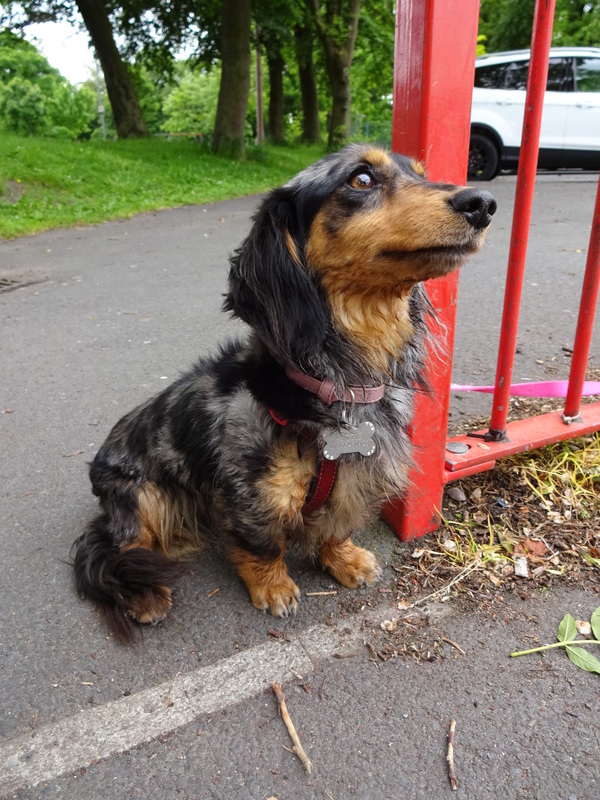 The beautiful Dachshund is called Lottie. She’s a really friendly girl, I got to give her lots of strokes! She loves spending time with people, especially her human mummy’s grandkids. Lottie is also a bit of a chatter box, she had a good long conversation with me! She especially likes talking in the car and when she’s at home she makes a funny noise if she feels she’s not getting enough attention! Lottie once a litter of 5 puppies. They were going to keep one of them but Lottie let the puppy walk all over her and it ate all of her food. Favourite food: Lottie is a very fussy eater. She will eat her complete dog food but she’d much prefer human food! Favourite pastime: Being with people! She loves cuddles!